The cost of fighting back against racial inequality. Erica Garner was an uncompromising woman, who fought bravely for police reform. The means of that activism, and the cost of it, was her heart. 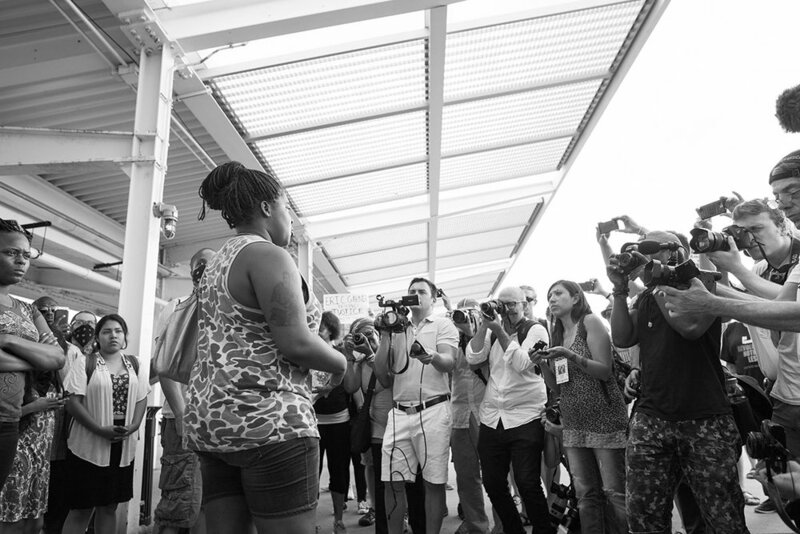 Before Erica Garner died, she was a 27 year-old woman from Brooklyn, NY. She was also a mother of two, an older sister to three, and the daughter of Esaw Snipes-Garner and Eric Garner. The latter was killed in July 2014 by NYPD Officer Daniel Pantaleo, after being held in an illegal chokehold. His last words, “I can’t breathe,” echoed around the world, as protesters co-opted them in their fight against racial inequality. Erica was one them. Spurred on by the injustice of her father’s murder, Erica became a political activist, organizing marches to hold the NYPD accountable for discriminatory policing, alongside local and federal governments, for allowing such practices. She died of a heart attack on December 30th, 2017. Her official cause of death was a major heart attack, caused by an asthma attack; it was not her first. Erica’s first heart attack occurred after giving birth to her son, which put a lot of stress on her already enlarged heart. However, the underlying causes of these medical events have not been examined enough: her death was the culmination of the trauma from losing her father, stress from entrenching herself in the fight against racial oppression, and the maternal mortality crisis disproportionately killing Black women. According to the National Institute of Health, women experience psychological risk factors of heart disease more than men do, including depression and post-traumatic stress disorder. We have known for years that emotional and psychological stress directly increases odds of a heart attack, and inhibits recovery. New information reveals that “young women are especially vulnerable to the negative effects of stress on the heart,” and that emotional stress can accelerate onset of heart disease, and induce negative health outcomes for those already suffering. Erica Garner experienced the incredible emotional stress of having a parent murdered, and then immediately launched into a campaign against the systems and prejudice behind it. This is the enormous weight which Erica Garner carried while she was carrying her unborn son. In New York City, Black mothers are 12 times more likely to die from prenatal and childbirth complications than white mothers. Overall, Black mothers in the United States are 243% more likely to die than white ones. This is because we are on the receiving end of racial bias in medical practice: Black women across economic statuses struggle with having our health concerns dismissed by doctors as we receive treatment. Many must resort to seeking treatment at under-equipped hospitals, receiving a lower quality of care than that provided in hospitals serving upper-class, white neighborhoods. Black women, especially those in low-income neighborhoods, are already more susceptible to obesity, heart disease, and diabetes, which also cause childbirth complications. Consider the added stressors of shepherding families through trauma caused by racialized police violence, alongside lack of access to equal healthcare. When you do, stories like those of Erica Garner and Venida Browder, who died from a heart attack in 2016 after losing her son Khalief, seem a little less surprising. 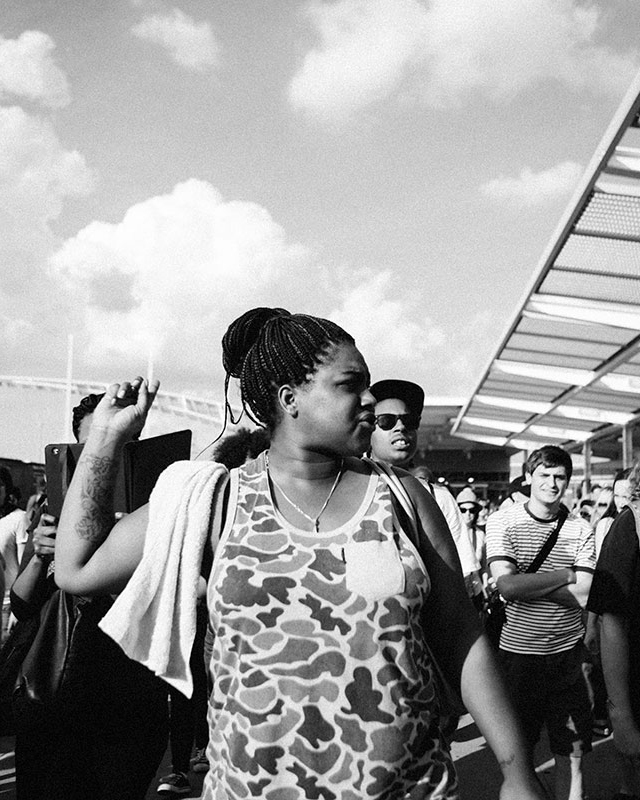 Erica Garner knew that she was paying for her fight against racial inequality with her health. Shortly before her death, Erica admitted that she was “struggling right now with the stress and everything. . . . The system beats you down to where you can’t win.” But the battle for police reform does not end with the death of Erica Garner, and the fight against racially biased healthcare practices has only just begun. fighting social and political oppression has a direct impact on mental and physical health of women, particularly women of color. Womanly Magazine acknowledges that fighting social and political oppression has a direct impact on the mental and physical health of women, particularly women of color. To Black women, and all women of color, on the front lines of every battle in the war against inequality: we thank you, encourage you, and urge you to protect your hearts.